Apple first smart speaker is here. What’s the story behind HomePod? Is HomePod just as smart and easy to set up as AirPods? Can I use multiple HomePods? Will it support third-party apps? Apple’s HomePod (originally rumored to be called Siri Speaker) is a smart speaker with Wi-Fi capabilities intended to compete against Amazon Echo devices and Google Home—although it’s more expensive. 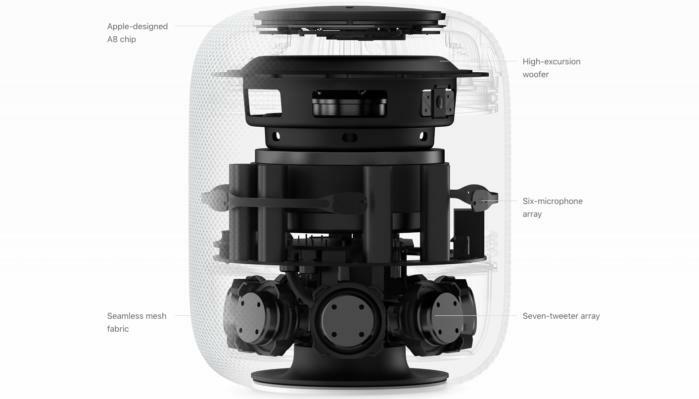 Revealed during Apple’s WWDC keynote, Apple’s senior VP of marketing Phil Schiller boasted about HomePod’s audio quality, its built-in room sensors, and the integration with Apple Music. 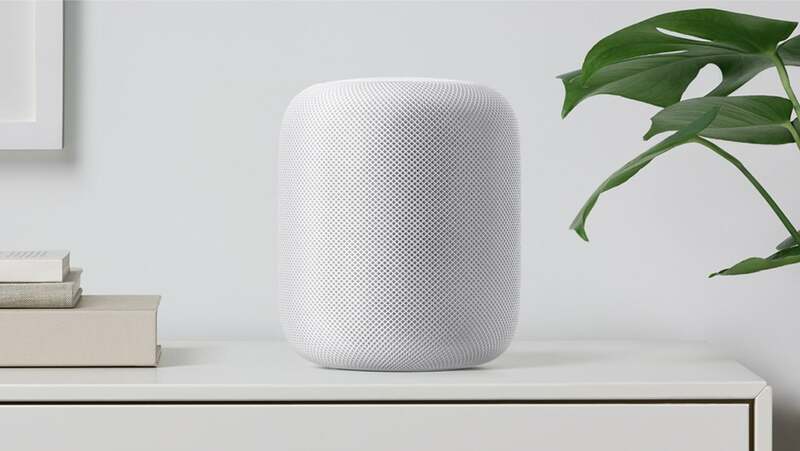 With its always-on voice assistant and ability to control connected devices, HomePod is very similar to Echo devices and Google Home, but with a few notable differences. Here are the must-know HomePod features, specs, and sales info showcased during WWDC. Editor’s note: Updated on 9/12/18 with news about Apple’s future updates for the HomePod. These updates will be available for free on September 17. Read our full review of the Apple HomePod. Summary: HomePod is a delayed product that somehow still feels rushed to market. It sounds great, but it is held back by Siri’s numerous problems and a lock-in policy that is heavy-handed even for Apple. 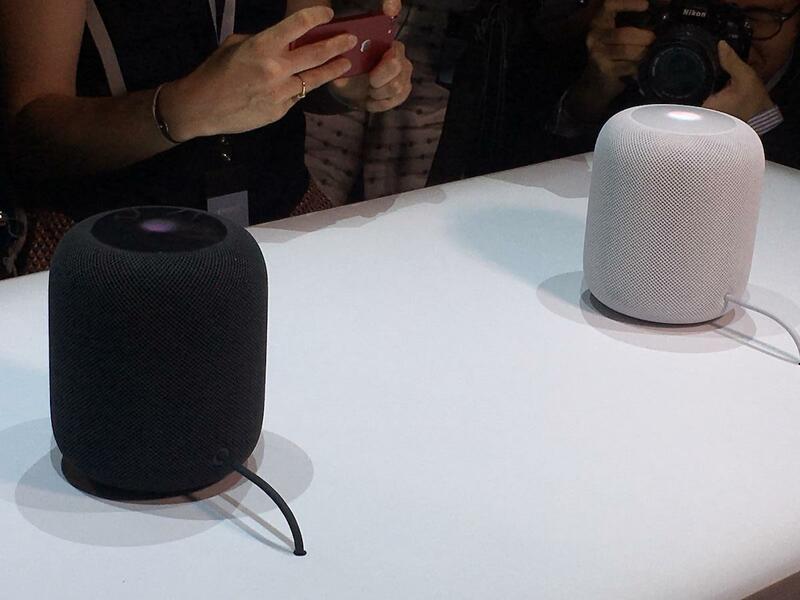 Bloomberg’s Mark Gurman reports that HomePod started several years ago as a side project by Apple audio engineers, and that the release of Amazon’s Echo was a complete surprise. HomePod project was shelved and revived several times,with the focus on music playback; Siri implementation was almost an afterthought. It took two years as a side project before Apple decided to make it a priority. Read Bloomberg’s report to get the full story. After a slight delay from its original December 2017 ship date, Apple announced that HomePod will be available for sale starting February 9, 2018, initially in the U.S., the U.K., and Australia. HomePod will reportedly only be available in limited quantities when it’s first released, according to the Apple supplier that will be manufacturing it. 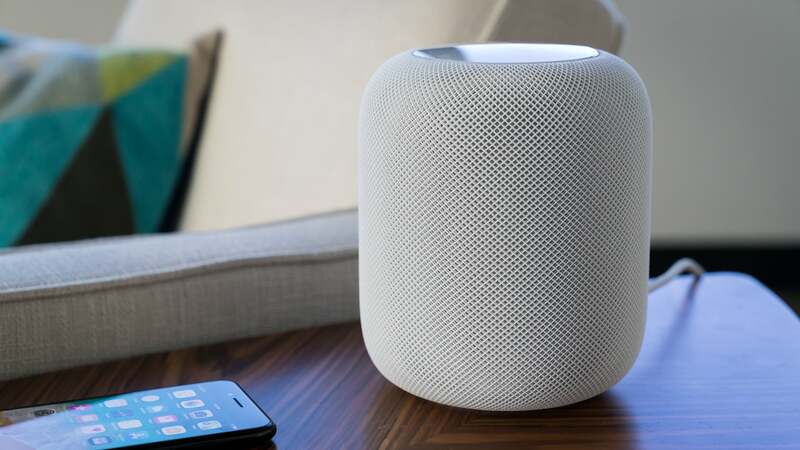 The president of Inventec Appliances, David Ho, told the Nikkei Asian Review that HomePod will ship in “fairly limited” quantities. During the September 12 iPhone XS event, Apple announced that the HomePod will be available in Mexico and Spain on October 26, 2018. HomePod costs $349 and is available in two colors: white and space grey. By comparison, Amazon’s second-generation Echo sells for $99 and Google Home retails for $129. Google also makes a high-end speaker, Google Home Max, that sells for $399. HomePod comes with an A8 Fusion chip, the same one that powers the iPhone 6 and 6 Plus. That definitely puts it up at the top when it comes to “smart” speakers. Like AirPods (which sport an A1 chip), setting up HomePod is just as easy and intuitive. All you have to do is hold your iPhone next to HomePod and it’ll be ready to start playing music in seconds. The initial setup screen is much like that for the AirPods, and the subsequent setup process is similar to setting up a new iOS device. Confirmation of Apple ID accounts will need to be done in order for HomePod to access Apple Music and iCloud. Users can set up multiple HomePods in one house, and that settings for one can be saved across all HomePods. Users can also set the accent and gender for Siri, just as you can on an iOS device. In Apple’s unveiling of the HomePod back in June 2017, it promised two useful scenarios for using multiple HomePods in your home. In one, you have two HomePods in the same room, and they will configure themselves so that one is a left speaker and one is a right speaker, giving more stereo separation than a single HomePod can manage by bouncing sound off your walls with its array of tweeters. In the other, you could have multiple HomePods in different rooms and have them all precisely sync’d up to play the same music all over. You can still have multiple HomePods in your home, but they’ll be treated as separate audio devices rather than intelligently working together. According to the firmware, HomePod will run iOS, although certainly a very specialized version of it. There is nothing in the code to suggest that Apple is offering a framework for developing dedicated third-party apps and extensions. This already puts HomePod at a disadvantage against Google Home and Amazon Echo devices, as both rivals offer development tools to third-parties. It can very well be the case that Apple wants to have more control over what type of apps and extensions get integrated into HomePod and will eventually open up the platform to third-parties, as it did with Apple TV and Siri extensions. Plus, the fact that Apple has given HomePod 1GB of RAM suggests that it’s future-proofing the device for more-elaborate capabilities later on. It’s not completely clear whether HomePod will have a mute button like Amazon Echo and Google Home, but there are clues within iOS 11.2.5 that suggest it will. iHelpBR editor-in-chief Filipe Esposito uncovered a series of pics that suggest users will be able to create scenes in the Home app that temporarily disable Siri’s always-listening function. HomePod has six microphones so that it can be activated verbally using the “Hey Siri” voice command. We’re not sure what happens if you have “Hey Siri” activated on your nearby iPhone as well. From an early release of the HomePod firmware, developer Avery Magnotti was able to dig out the custom sounds Apple designed for it. Below you can listen to how HomePod alarm will wake you up in the morning, plus other system sounds. First noticed by Wirecutter and Pocket-Lint, it appears as though the HomePod’s circular silicone base can leave rings on some wooden surfaces. We’ve tested on several wooden tables and shelves and haven’t seen the issue, but it all depends on what kind of wood finish you’ve got. 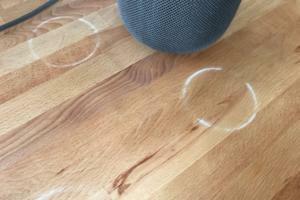 Wirecutter found that their HomePod quickly produced visible rings on some wooden surfaces. Apple confirmed the problem to those publications, saying that it was “not unusual” for a speaker with a silicone base to leave a “mild mark” when placed on certain oil or wax based wood finished surfaces. However, users that see this problem are experiencing it on surfaces that do not exhibit issues with other speakers. In short, be careful what surface you place HomePod on, and if in doubt, place something sturdy under it. Well, that depends. What’s your definition of “touch screen”? Technically, yes. HomePod an array of LEDs at the top that pulse when Siri is listening, but they can’t display arbitrary images or text. You can tap the top of HomePod to play, pause, or adjust the volume. But unlike the Amazon Echo Show, HomePod screen is not a video screen. Can it control HomeKit devices? Yes! You can ask Siri to turn on the lights, close the shades, or activate a scene that you’ve pre-set in the Home app. HomePod can even control these devices when you’re not home via the Home app, giving you the power to remotely control your devices from anywhere. So far, HomeKit is compatible with connected devices from Ecobee, Honeywell, August, Kwikset, Philips Hue, Lutron, and more. Apple wanted to create a speaker that delivered state-of-the-art sound that “rocks the house.” HomePod includes an Apple-designed four-inch woofer for a deeper bass and seven beam-forming tweeters for high frequency acoustics. All of this was designed to “preserve the richness and intent of the original recordings.” Of course, we won’t be able to vouch for this until we get to listen to it later this year. Does it support multi-room audio? 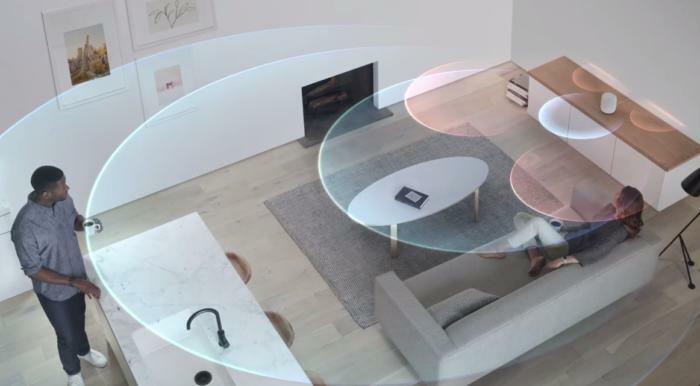 If you put two HomePods in the same room, Apple says they will “automatically detect and balance each other” to mimic surround sound. However, this feature won’t be available at launch either. Does it work with Spotify? Unfortunately, the only music streaming service that HomePod supports is... Apple Music (act surprised). In fact, Apple claims the smart speaker was designed to be deeply tied to Apple Music, which costs $10 a month. And we don’t foresee Apple bringing another other services to the fold anytime soon (or ever). What if I am an Apple Music member? If you’re an Apple Music member, HomePod can access Apple Music’s full catalog, as well as tap into machine learning to learn about your music preferences and suggest songs and artists you might like. Apple refers to HomePod as the perfect musicologist. In addition, you can create a shared Up Next queue with other nearby iOS devices so that everyone in the house can participate in picking music. Does it have any other new technology? Not every room is the same, so HomePod has learned about spatial awareness. Its built-in sensors can determine the size and layout of its surroundings to automatically deliver the volume and acoustic output that best fills the room. Think of it as virtual surround sound. When two paired HomePods are in the room, they’ll be able to sense each other to deliver actual surround sound. Will it be listening in to all my conversations? Privacy is also being touted as a vital component of HomePod. According to Apple, the smart speaker will only start collecting information after the “Hey Siri” voice command is activated. This means that you shouldn’t be afraid that HomePod is secretly recording your conversations in order to sell you stuff. All information is recorded locally on the device and sent to Apple servers encrypted using an anonymous Siri ID. What iOS devices is it compatible with? HomePod is compatible with iPhone 5s and later, running the latest version of iOS 11.